It hits most of us at this age – the moment when you realise that your parents are no longer as strong and independent as they always were when we were growing up. Caring for ageing parents is a very difficult task and can lead to sensitive situations between siblings as they navigate one of the most confusing, frustrating and often confronting, new realities. According to Carers Australia, there are close to three million unpaid carers in Australia and almost all primary carers are a family member. Cindy Lee knows the importance of sharing the responsibility of care, having experienced it first-hand with her own mother. “Mum spent many years living with my family and she now lives with my sister. It gets harder each year with her mobility decreasing and her memories failing, so I know the job of primary carer isn’t an easy one for my sister, and is in fact much harder for her than it was for me,” says Cindy. Martin Warner and his sister Sarah were so frustrated by the lack of suitable home care and companionship services for their parents that they went a step further, launching Home Instead Senior Care, a specialist, national provider of high quality in-home care for older Australians. The siblings have also just released a handy free guide for others in the same boat, The 50-50 Rule: Tips for Siblings Caring for Ageing Parents. “Sharing does not necessarily come easily to siblings. They may have squabbled over toys as kids, household chores in their adolescence and now, in later life, they have to consider how to share the responsibility of caring for Mum and Dad,” says Martin. It’s crucial to communicate with your parents and understand their needs. Seniors are often fiercely protective of their independence and may even refuse help. 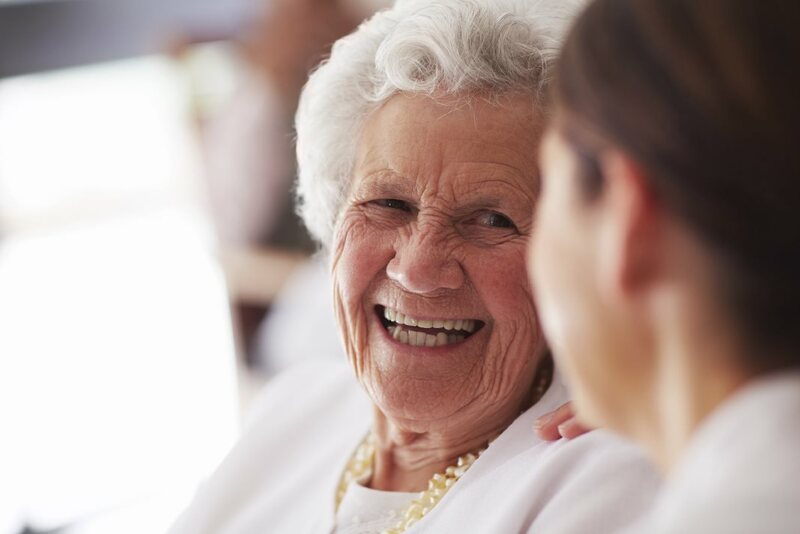 However, if they wish to continue living independently at home throughout their elderly years, it may mean they require the assistance of a full-time caregiver. It’s important for you and your siblings to firstly identify the types of services that your parent needs. There are a variety of organisations and resources available that can help you meet those needs. Both health.gov.au and commcarelink.health.gov.au are good places to start. Once you’ve identified your parents’ needs are and explored what the available resources are, you can start planning how to share the load. If a parent wants to remain living at home, it will be important to plan for the years ahead and work out whether the duties can be shared by siblings and whether professional help is required. Life is fluid and circumstances change. Accept that each of you may not always be able to share the responsibility, and that’s ok. It is important not to insist that all caregiving tasks be split down the middle. The division of care should take into account the family member’s interests, skills and availability. The needs of your parent/s will also change over time and this needs to be taken into account. It’s vital to communicate if you are feeling overwhelmed with the stress of caring for a parent. Carers Australia found that 55% of primary carers spend more than 20 hours a week providing care, which is the equivalent of a second job. If you’re struggling to cope, call a meeting with your sibling/s to discuss how they can assist. They might be able to contribute more hours into caregiving or help with looking into private care support options. Next articleJob Hunting? Ditch The Dinosaur Approach And Log On Here Today! Good post. All great tips. One thing that I had found out when caring for an aging parent, was the power of being an advocate. People that receive visitors get a little bit more attention from the staff, because they know someone is following up. Thank you for posting. Thanks Jim. That’s a great insight of your own there. Really appreciate you sharing your own experience.